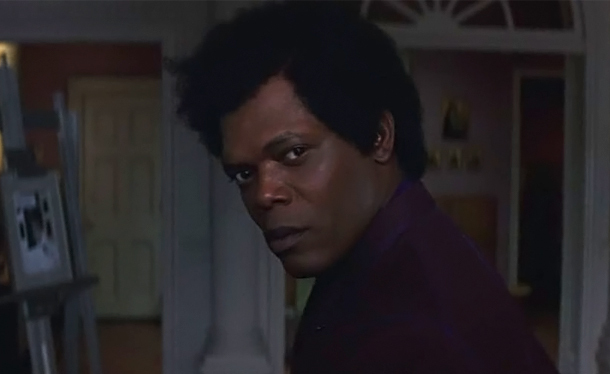 While making the interview rounds for Quentin Tarantino's Django Unchained, Samuel L. Jackson had a few words to say on his collaboration with M. Night Shyamalan in 2000's Unbreakable -- not all of it positive. When asked by The Huffington Post if we'd ever see a sequel to that film, the actor replied, "There were supposed to be three. I don't know... You'll have to ask the brilliant director who wrote it and didn't do the rest of them." HuffPo noted that the filmmaker had moved on to films like The Last Airbender, to which Jackson remarked, "I mean, he hasn't made a really good movie since [Unbreakable]." Does Jackson think there's still a market for Unbreakable 2? "Everybody would be waiting for it, yeah. [The Internet] would be crazy for it. It would trend through the roof now on Twitter. But, yeah, they would. But Quentin makes movies that Quentin wants to see. I don't think M. Night makes movies for the same reason." Perhaps, as HuffPo speculated, Shyamalan puts too much emphasis on having a twist. "Yeah, there's that. And there's, you know, 'I'm smarter than everybody coming to watch my movie.' Quentin's not that. He's just, 'I want you to love my movie. I want you to love it and enjoy it because this is f***ing cool.'" For the full interview, in which Jackson also discusses his upcoming Django role, head on over to The Huffington Post. Django Unchained hits theaters stateside on Christmas Day.